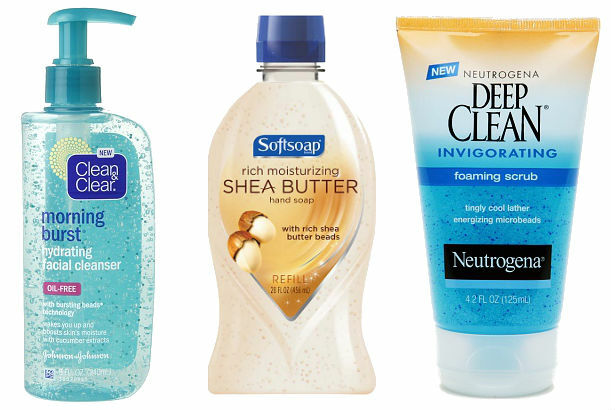 In addition to millions of things already screwing up our environment, your face wash is just another. Illinois is the first state to pass a ban on personal care products containing microbeads, which are touted as a gentle exfoliant, but are really not-so-gently helping to disintegrate the environment. Microbeads are commonly made from plastic, and though they are small, they don't break down so easily–because they're not biodegradable. Actually, their diminutive size is part of what makes them so dangerous–they consistently slip through waste treatment filters, spreading into the water, tainting the supply and poisoning animals. Small fish and birds ingest these beads and toxins get soaked into their bloodstream. Advocates worry that these poisonous materials will affect humans once we start eating the tainted fish. Illinois lawmakers are hoping the ban on microbeads will help preserve natural resources like Lake Michigan. And it looks like other states are fixing to adopt the policy–New York is currently working on a bill that will ban the products, which could go into effect within the next year. As for Illinois, they're giving manufacturers until 2018 to end production of the harmful miniature orbs. With this knowledge about the dangers of microbeads, hopefully other states will be compelled to follow the example of Illinois and New York. But for now, the best action anyone can take is to avoid buying these products altogether.